There are a handful of standout customer service accounts on Twitter that seem to have the secret formula for delighting their customers, and we've distilled their strategies down to five secrets for you to learn from. Many companies are turning to Twitter to provide customer service – not surprising, given that over 50 percent of Twitter users engage with brands on Twitter, and this same number believes that this is the best platform to reach a brand. 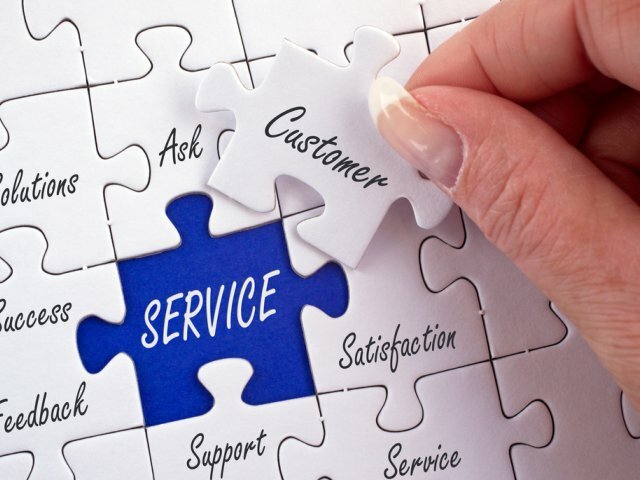 So if you’re not using Twitter for customer service, you might want to start. There are a handful of standout customer service accounts on Twitter that seem to have the secret formula for delighting their customers, and we’ve distilled their strategies down to five secrets for you to learn from. When you start getting multiple customer service requests per day, it’s time to create a dedicated customer service Twitter account. The best brands have a “help” account that has one goal, and one goal only – handling customer questions, requests and complaints. Rogers, for instance, has “@RogersHelp” that responds to its customers in real time. This helps keep the marketing and branding efforts over at “@Rogers” separate from the customer service, and indicates to customers that they are serious about customer care. It’s one thing to use a customer service Twitter account solely to direct customers to your help phone line. It’s another thing entirely to be responsive to their concerns, in real time, and offer them valuable information on the channel they’ve chosen try to get in touch with you. JetBlue answers customer tweets with specific information, and in a timely manner. They are helpful and provide relevant information on Twitter whenever possible. No customer service Twitter account is a robot. By their nature, they have to be managed by a real, live, human being – so why not embrace this fact? Your customers want to know that they are being heard, and being heard by a real person at your company. The Toronto Transit Commission is a great example of this, since they not only answer questions and concerns, but they do so with the human touch. Each tweet is signed with the initials of the individual responding, and the account uses “I” rather than “we” when speaking to their customers. Customer service is usually not “done” in a single tweet. To truly take care of a concern, you may have to walk a customer through a multi-step issue, or direct them to multiple resources. Brands like Nike take the time to not only offer a solution to their customers problems on Twitter, but they go above and beyond by following up and providing more solutions until one sticks. It takes more time, but it means the problem will ultimately be solved – which is the goal of any great customer service account after all. Not every issue can be resolved in one, or even ten, 140-character tweets. Sometimes, good customer service can only be performed by speaking directly to a customer, or via long-form communication like email. American Express does try to solve its customers’ problems on Twitter when it can, but many times it will direct its customers to a specific phone line to speak directly to someone. Since the problems its customers face are complex, this helps clarify the issue and get their customers the answers they need.